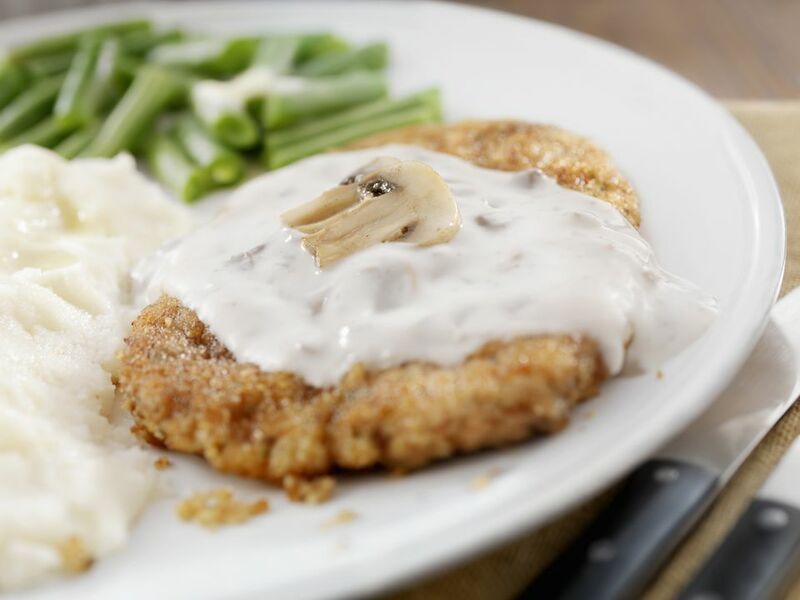 Try out these delicious turkey cutlets. They are sautéed with mushrooms and herbs, as well as sherry and butter to enhance flavors. Add the cream just before serving and you'll have a great, hearty meal! Combine the flour, paprika, salt, and pepper. Dredge turkey cutlets in flour mixture. Put olive oil and about half of the butter in a large skillet over medium heat; cook the turkey in batches to brown, about 2 minutes each side. Remove turkey cutlets and keep warm. Add remaining butter to the pan and add the mushrooms and green onions. Cook, stirring, for about 2 minutes; add sherry. Add the herbs and heavy cream. Cook down until reduced to a lightly thickened sauce. Return the turkey slices to the pan; add salt and pepper to taste. Cook a minute or two to heat through, spooning the sauce over the cutlets. Sprinkle fresh parsley on top of turkey cutlets to serve.